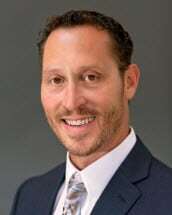 Along with his extensive legal credentials, Mr. Lerman also holds a master's degree in business administration, so he fully understands the unique challenges and intricacies of business. With more than 16 years of legal experience, he possesses the skills and resources necessary to handle your matter efficiently and cost-effectively no matter how simple or complex your needs, and his law firm has become one of the area's leading legal practices, with three total office locations across the greater Atlanta metro region. Offering a retainer agreement for his commercial clients, Mr. Lerman can remain on-call to address your questions and concerns and provide the solid, practical advice you need about matters that may arise during your day-to-day operations. Through this partnership, he can act in the same capacity as in-house counsel without the added expense, and he has fostered long-lasting relationships with many of his business clients. For all other matters, Lerman Law Associates, P.C., offers affordable fee schedules, and Mr. Lerman promises to work closely with you and your family to fully understand your needs and goals so that he can help you devise the comprehensive solutions that will serve you and your loved ones well into the future. To discuss your matter with no cost and no obligation, you can contact his law office to schedule an appointment for a free initial consultation.